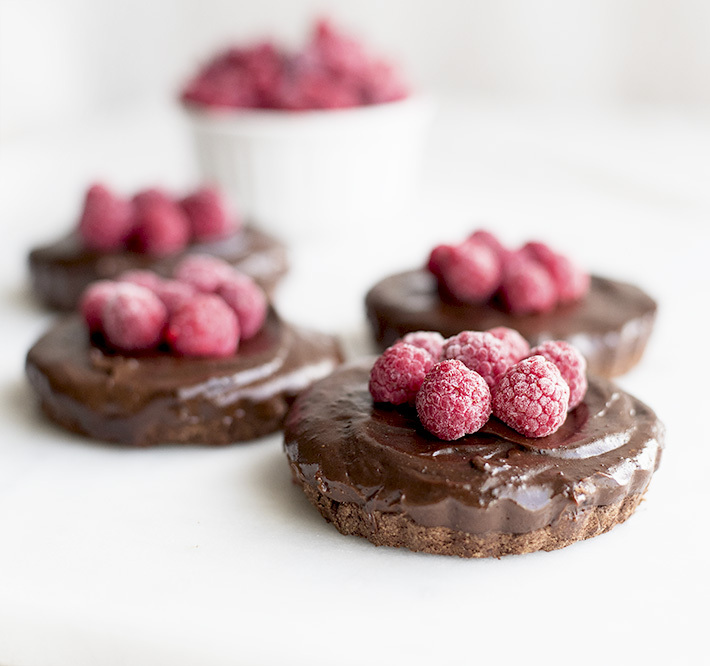 Rich and silky gluten-free chocolate mousse tarts are a great way to start or end your day! 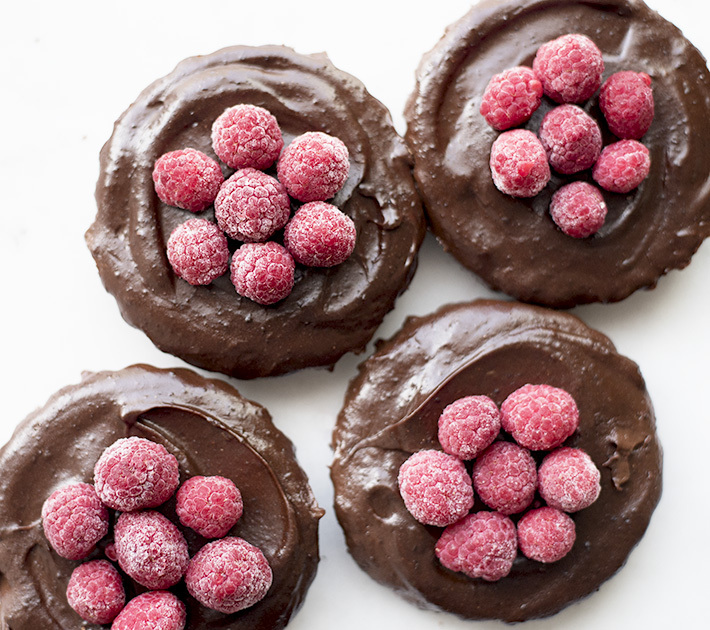 The tangy raspberries on top compliment the silky smooth chocolate filling perfectly. There are also 2 secret ingredients in this recipe that gives these tarts an extra nutritional boost with extra healthy fats and fiber. In the notes at the end of the recipe, I included a list of simple, suitable substitutes to make this treat vegan. 2. Stir together crust ingredients in a bowl until mixture is crumbly. Evenly spoon mixture into each tart dish and press down with your fingers, forming a crust. 3. Bake crusts in the oven for 6 minutes. Let cool while you make the filling. 4. Next, combine all of the filling ingredients in a food processor. Blend until mixture is smooth and free of lumps. This step may take 5-10 minutes. Stop to scrape the bowl several times in between blending. 5. Spoon tart filling into each dish and smooth down with a spoon. Place tarts in the fridge for at least 3 hours. 6. Remove tarts from fridge and top with fresh raspberries. Enjoy! * To omit protein powder, you can do the following: simply substitute crust protein powder with an additional 3 tablespoons oat flour. 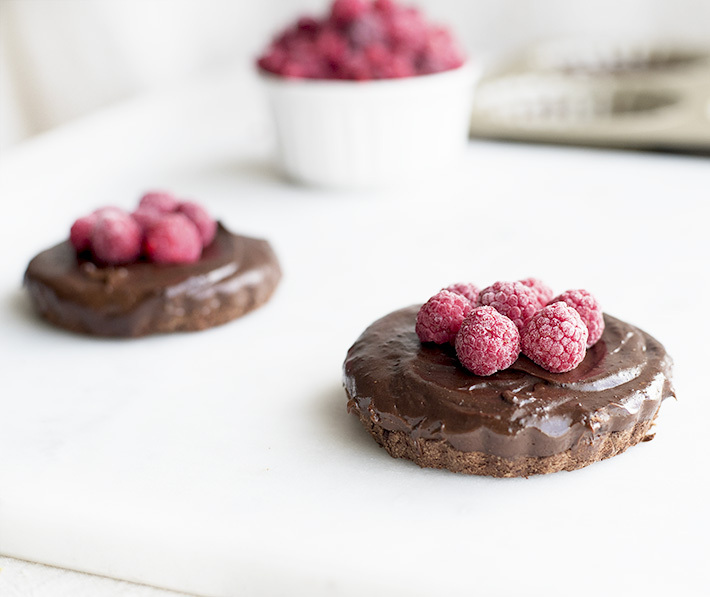 Simply substitute filling protein powder with an additional 3 tablespoons cocoa powder. * You can also make this vegan by choosing a chocolate vegan protein powder and using maple syrup instead of honey.